A thoughtful gift idea for your loved ones or friends. 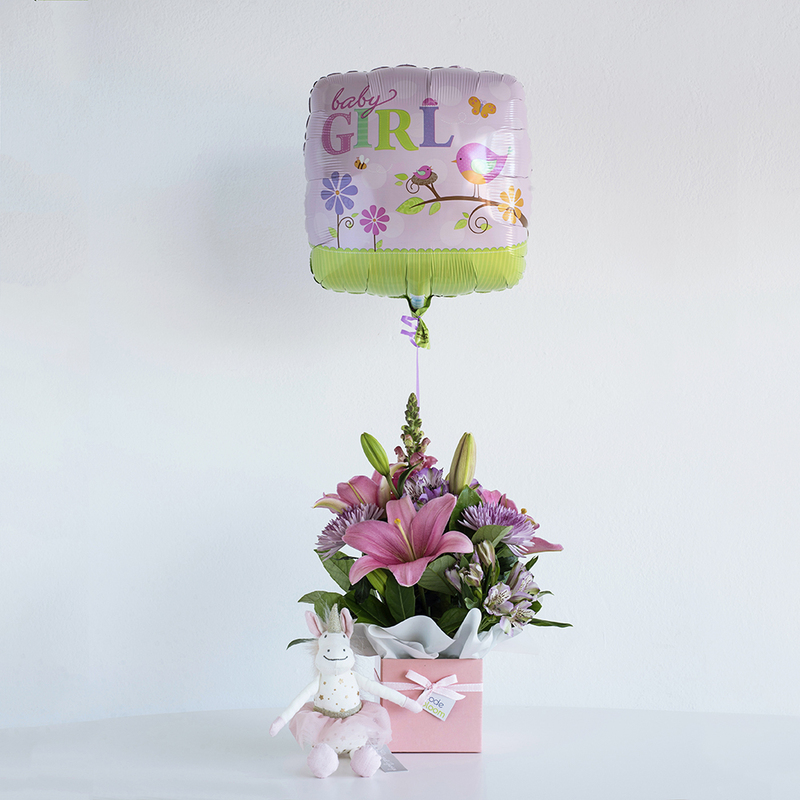 This package contains not only an exquisite floral arrangement made with each season’s best blooms but it is also combined with a cute modern style toy for bub to love & a helium filled baby balloon. This arrangement is finished with a satin ribbon and comes with a complimentary gift card for your personal message. This choice has proven to be a winner! Please feel free to add any of our baby products or gifts to this arrangement and we will beautifully gift wrap it together to create the ultimate gift for the recipient!